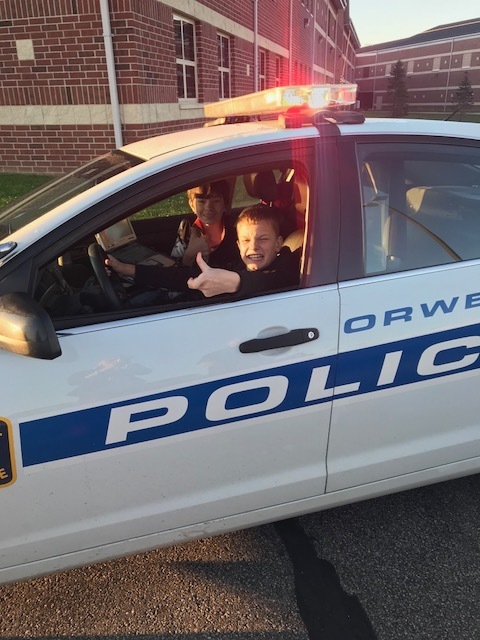 The Chief of Police at the Orwell Police department allowed students to explore what a police cruiser looks like on the inside of the vehicle. Students have been learning to "Say Something" in Grand Valley. Say Something is a program that comes from the Sandy Hook Promise. The students are learning to do three things when they believe someone will hurt themselves or someone else. They are to 1) recognize a threat, 2) act immediately, 3) tell a TRUSTED adult. 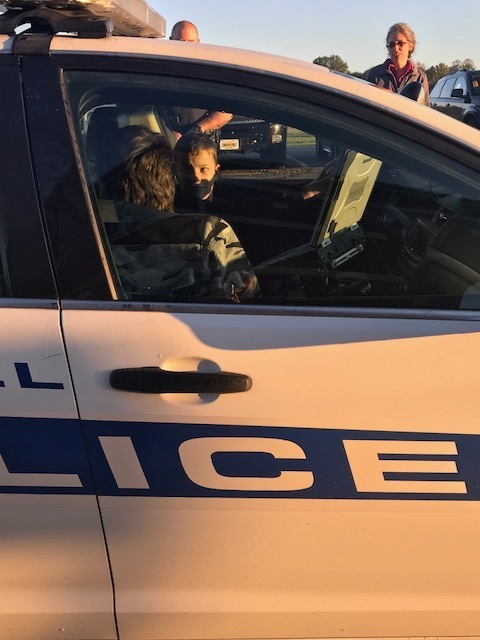 There has been great discussion about who a student can trust, their parents, their teachers, their principals, but certainly their local police department. 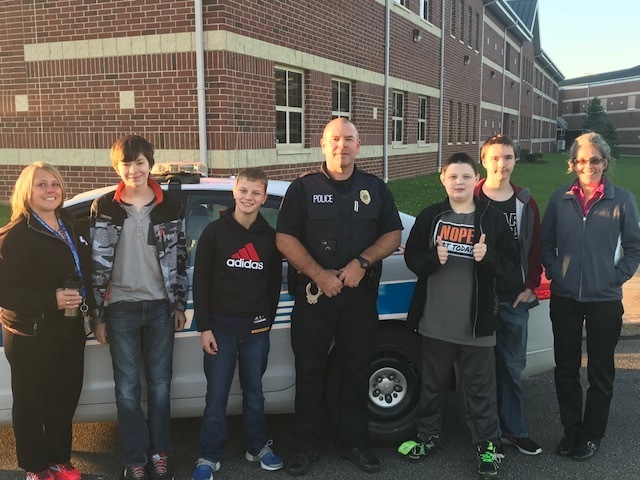 Chief Fernandez and his officers continually work with the school and its students to create a trusted relationship.